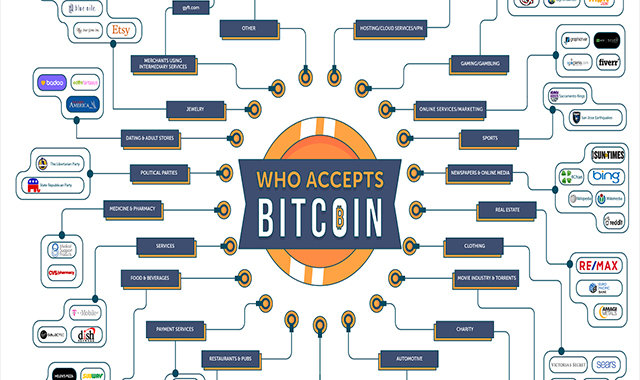 Who Accepts Bitcoin #infographic ~ Visualistan '+g+"
Everybody will remember 2017 as the year when cryptocurrencies skyrocketed in value, especially Bitcoin. While Bitcoin was slowly rising since its creation, 2017 was the year when its value went from around $1.000 to almost $20.000, making some of the skeptics rethink their stance on cryptocurrencies. Even though cryptocurrencies faced a lot of backlash in their early years, today almost everyone is on the Bitcoin bandwagon. Of course, some countries are still resisting, but the vast majority have embraced it. 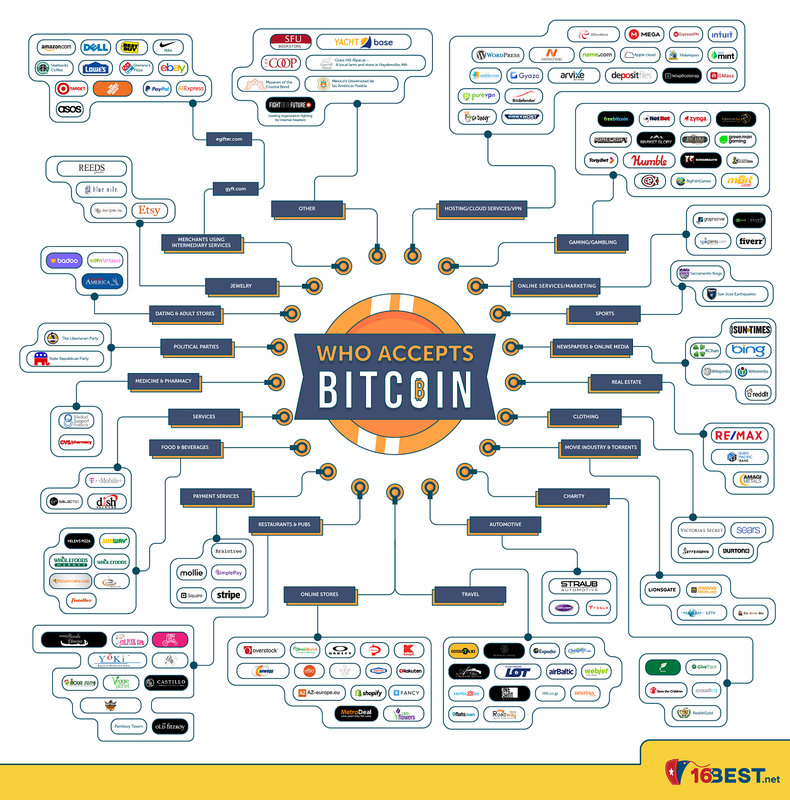 In a relatively short time, Bitcoin went from being an obscure currency on the internet to a payment method of the future used by big-name brands in hundreds of countries.